Clair W. Clark joined the Marine Corps during the Vietnam War, entering a program which allowed him to finish his college degree without being drafted by going through a commissioning course in Quantico, Virginia. He then specialized in surface-to-air missiles and was trained in Yuma, Arizona and Fort Bliss, Texas on the Hawk surface-to-air missile and then went on to Vietnam. Clark's writing is very good and it really makes the reader feel as if they can picture the action. I can honestly say I learned quite a bit about the Marine Corps as it operated back in those days. With that being said, I believe this book could have been tightened up a little bit (from 400 pages to maybe 250-300). After all, I don't think I really need to know the exact route Clark took from MCAS El Toro to Yuma in 1968 nor the Ballad of John Jones and his short career as a pilot. Spelling errors are a bit annoying too, such as the word "flack" for "flak", the discussion of HU1E "Huey" gunships, and acronym EOD being translated as "Emergency Ordnance Disposal" instead of "Explosive Ordnance Disposal." I served in Army Hawk myself in the 1980s, part of that in a "square" battery like the author. I believe he has done an excellent job of conveying what it was like to operate Hawk. In describing the destruction of the local ASP and the effects of the explosion on exposed Hawk missiles I guess it never occurred to me what effect such a thing could have on the "open-ended" hydraulic system. Nor had I any idea that a Hawk fire unit had ever been subjected to ground attack, as one of the batteries of the 1st LAAM had been. While this information was not circulated in the 1970s and 1980s I don't doubt that the raid on Charlie Battery might have had something to do with our battalion receiving reinforcements from 10th Mountain Division during Desert Storm in order to protect our perimeter. 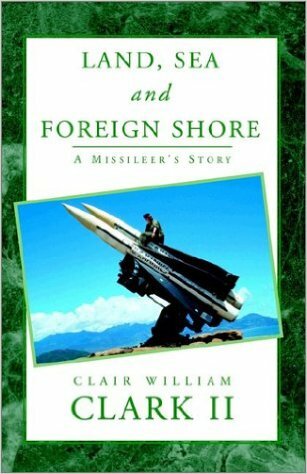 A very good in its own right and a must-read for anyone interested in the topic of antiaircraft. Includes black and white photographs.